being able to take many more sunrise photos. I do not do “comfort snack food” and I no longer really snack. Now and again I might eat some potato chips, but not even that so much. I find eating my meals is enough to satisfy my needs and if I leave the snacking on on one side, I enjoy my meals better. I never babysat, or delivered newspapers. I had a Saturday job in a store in the mens clothing department for a year and earned £1 for the day. I was saving money to be able to go on a school cruise to the Baltic Sea. My parents did not really have the money, so I got myself the job to pay for it. 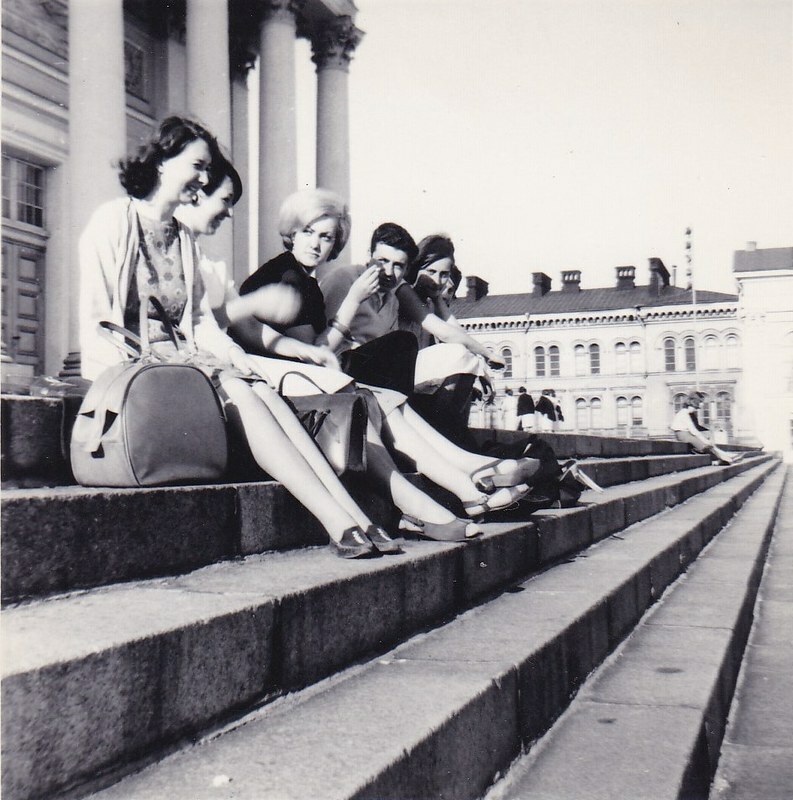 We were all 16-17 years old, 1964, just finished school, and sitting on the steps of the Helsinki cathederal in Finnland. I am the one at the end on the right sitting next to some guy that decided to join us. I think he was on a spanish ship that docked in next to us in Helsinki harbour. I can get out again on my own and go places and see things I have not seen for some time. I now have wheels to move on, and all driven by electricity. I decided that sitting around at home and wobbling around with a stick worrying that I might fall was not so enjoyable. 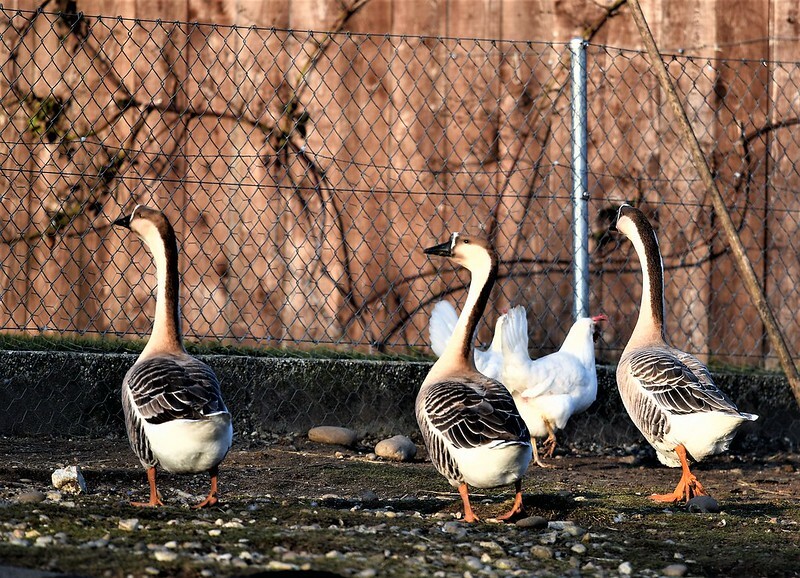 Even the geese were honking when they saw me. They had missed me as it was at least half a year since I could visit them. I have never forgotten that trip, seeing Leningrad for two days at the time of communism. It was an experience never to be forgotten. 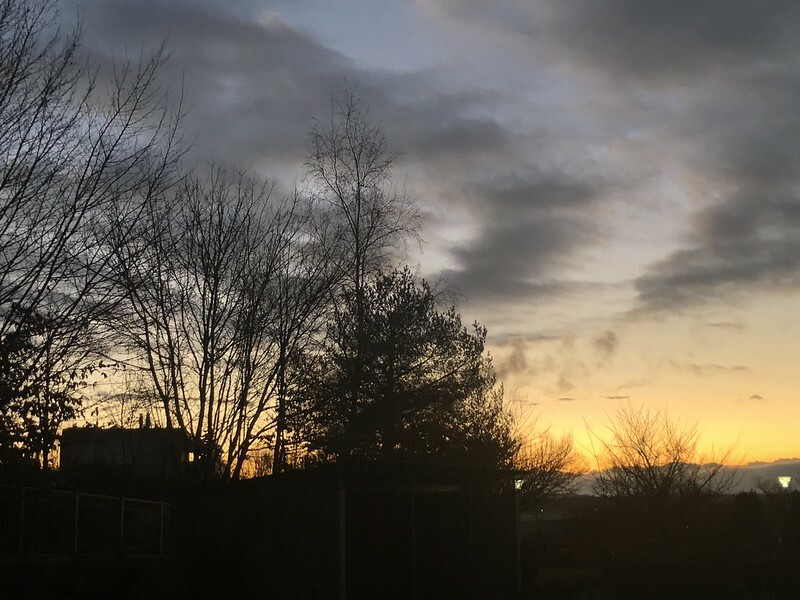 And I am sure we are all glad for every sunrise we see. That photo is priceless–I want to know what the lady with blonde bouffant hair was thinking in it. She was sitting next to her best friend and they seemed to be having a discussion. Her friend though it was funny, but she didn’t. In 1964, my parents were just getting married. My Pa enjoyed photography, so has many pictures of my mother from that time. It is embarrassing that she looked as good as she did. My Pa got pictures of us kids on the Felton Covered Bridge that I sometimes write about. I am looking forward to starting new work in less than to weeks. I do not have a favorite comfort snack food; although I did enjoy those deep fried chicken livers and other deep fried food when I was in Oklahoma. My first moneymaking job was at a nursery near Half Moon Bay. It was in shambles by the time I got there, and a bunch of stoner hippies were living in abandoned greenhouses. Incidentally, I did not deliver newspapers when I was a kid, but have been writing for newspapers since 1998. While in Oklahoma, I processed and delivered bales of the Oklahoman. This last Saturday, while trying to explain to my Pa why I will not move away from here, I appreciated where I live. There’s no place like home. I got married in 1969 after a whirlwind courtship of three months, although we knew each other already a year. I now have a full time job of being a golden oldie and it is the best job I have had up to now: no boss, do what I like when I like and have a rest now and again. Interesting about the stoner hippies, we don’t have stuff like that i Switzerland. They get stoned, but not so much hippie. I discovered a new home when I tranferred to Switzerland from Great Britain. If I was somewhere in California, I don’t think I would move either. If I were not from here, I certainly would not move here. I only love being here because it is my home. It is weird that it is not a better fit for me. I mean, most of us are a product of our culture. My culture changed faster than I could keep up with it. The place is my home, but the culture is foreign. My first job was putting price tags on clothing at Bloomingdale’s. My folks weren’t big on allowances. I got enough to get to and from school, but if I wanted to do anything else, i needed to earn it. So, at 14, I was working at Bloomingdale’s. That was the legally youngest you could work in New York. My friend and I were both football fans. We walked for more than an hour to reach the football stadium to save the train money. We were also kept short on pocket money.